Comfort, style, elegance, social distinction….as they say in America, there is a big difference between simply arriving somewhere, and making a triumphant appearance emerging from a luxury limousine. Nobody is indifferent to a limousine. From its beginnings in 1900 to the present day, the words “limousine” and “chauffeur” have always gone together., as they are vehicles driven by a professional driver, leaving the owner or passenger to enjoy themselves in the luxurious rear seats. In 1921 in New York J.P. Carey started the first rental service of limousines driven by uniformed chauffeurs. The modern limousine industry was born in the 1980s; around 1978 there were some 1,500 limousine companies, and in 2000 there were 10,000. Before the Second World War, many luxury car manufacturers produced the chassis and the mechanic parts, leaving the bodywork to be made or modified by master coachbuilders. Later came some years of transition, in which the original car manufacturers stretched vehicles by some 50 cm, with a partition between the driver and the passenger cabin. Finally, modern limousine coachbuilders like Dillinger and Gaines, Corporated Coach Builders, Royale, Da Bryan, Federal, Tiffany, and Crystal started to appear from the seventies onwards. General Motors (Cadillac) y Ford (Lincoln) created QVM (quality vehicle modification) divisions, which authorised coachbuilders to modify their vehicles without affecting the guarantee. 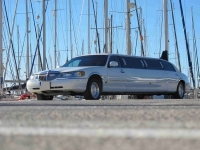 Nowadays increasingly longer limousines are made, in all sizes of stretch: 40”, 50” ,70”, 100”, 120”, and 200”. The latest fashion in the USA is to make limousines from Hummers, SUVs, large 4WDs or vans, Ferraris and classic cars – the possibilities are limitless, but these impressive vehicles all represent two things: American might and luxury. These days 90% of the limousine market is dominated by the two giants Lincoln and Cadillac. American presidents use both makes indiscriminately so as not to favour either one over the other. 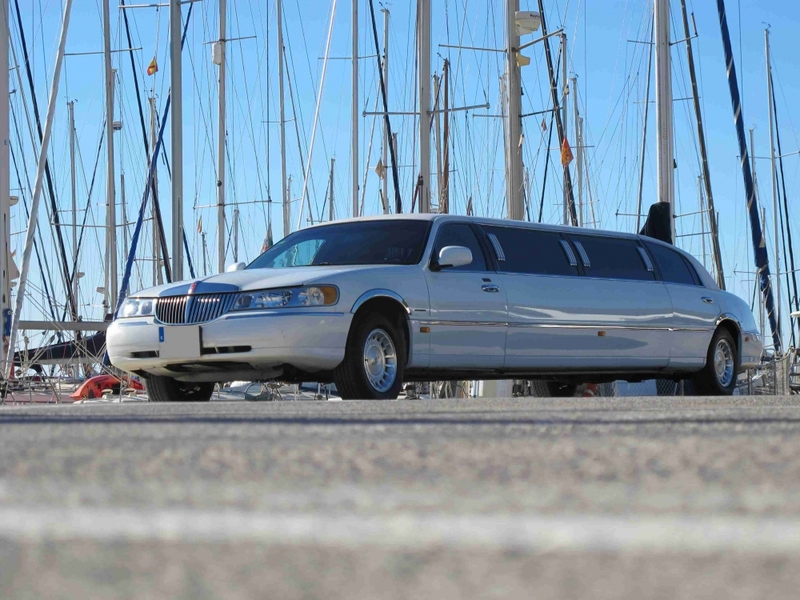 In accordance with its philosophy of always having the best vehicles on offer for any event , need or wish, Grup Limousines offers you the latest version of the legendary LINCOLN TOWN CAR limousine, which started production in 1998, and is still being made today.